Since its inception in 1968, Brittany Beauty School has been teaching students in Nassau & Suffolk counties what they need to know to enter the exciting world of cosmetology, hairdressing, and esthetics. Today, the owners of Brittany Beauty School talk about the exciting courses they offer and the materials every new beauty school student will need to begin their training. Do you love the versatility of hairstyling and the artistry involved with giving a good haircut? Hairdressing is an exciting field that can give cosmetology students the chance to work everywhere from high-end salons to the comfort of their own homes. Students taking hair school courses should purchase supplies necessary for cutting and styling hair, including a variety of hair shears, combs, brushes, coloring bowls, coloring brushes, foils, and a set of power clippers. Remember, high-end supplies can last throughout your formal training and beyond, while inexpensive tools may need to be replaced more frequently. Whether you want to become a precision haircutter, master hairstylist, expert colorist, Esthetician, makeup artist or Nail Technician; our 1000 hour Hairdressing & Cosmetology covers it all. 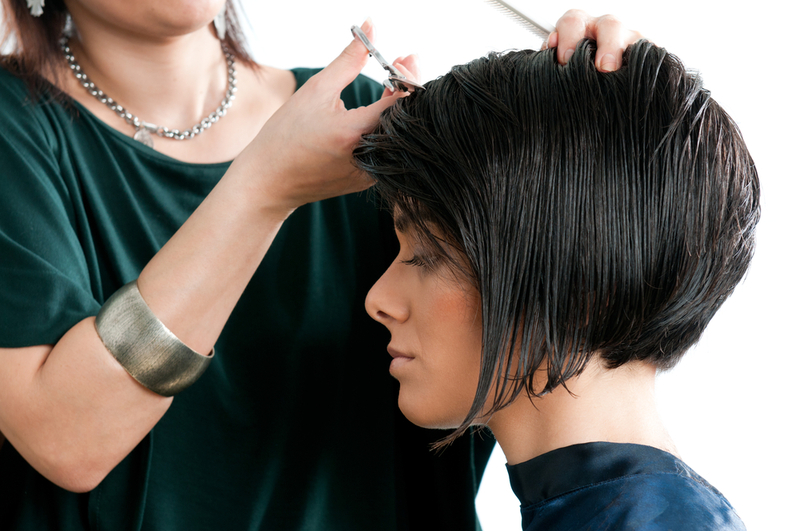 With a Hairdressing & Cosmetology license, your opportunities are endless. Learning how to do professional makeup extends beyond the realm of wedding-day beauty regimens. In addition to giving client makeovers and allowing you to offer full-service beauty treatments, the makeup artistry program at Brittany Beauty School can prepare you for professional makeup applications—including theatrical stage makeup. Cosmetology students should invest in a quality set of makeup brushes, including foundation, contouring, and eye shadow brushes. Students may also need liquid foundations, powders, contouring crèmes, eye shadow palettes, eyeliners, false lashes, lipsticks, lip glosses, lip liners, and a variety of mascaras. Students will also learn the power of color correction, which is why students should invest in a color correction palette. With dedicated instructors and flexible class schedules, Brittany Beauty School offers a top cosmetology education centered around your career goals. Visit Brittany Beauty School online to read more about their business philosophy and courses, or contact them at (516)-731-8300 to talk with a counselor in New York. If you are willing to work hard to perfect your craft we can help you. Join our team of graduates as your first step toward licensure and a successful career. With Brittany Beauty School’s cosmetology program, you’ll learn everything you need to succeed as a makeup artist and hairstylist.